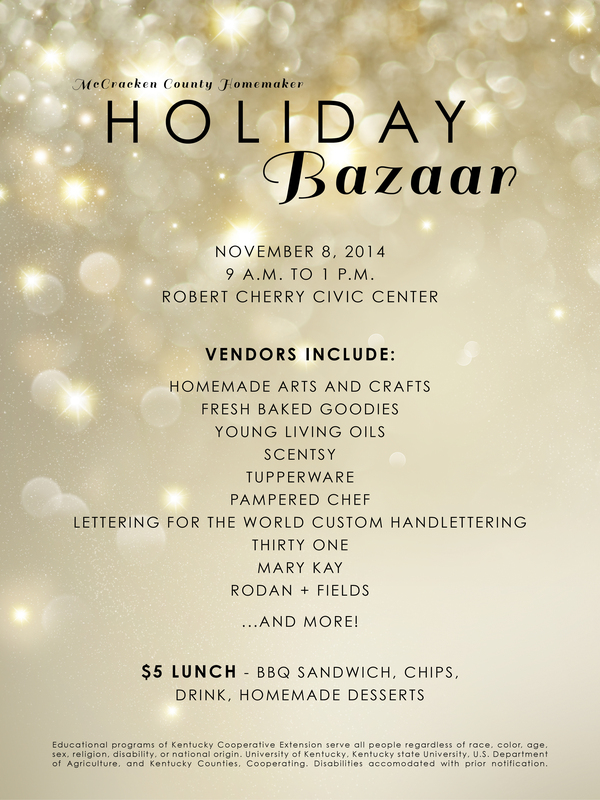 If you’re in the Paducah, Ky., area on Saturday, come do some shopping at the Holiday Bazaar! I’ll be selling canvases and taking orders for Christmas, my sweet mom will be selling crafts, my sister will be selling Young Living essential oils, and many others will be selling awesome things as well. Come and do three of my favorite things: Christmas shop, socialize and eat! This entry was posted in Lettering for the World.